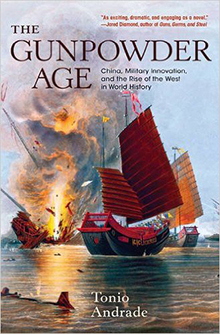 Not according to Emory historian Tonio Andrade who shows in his new book, "The Gunpowder Age," that the idea that China has historically been a peaceful nation, little interested in military matters, is not true. 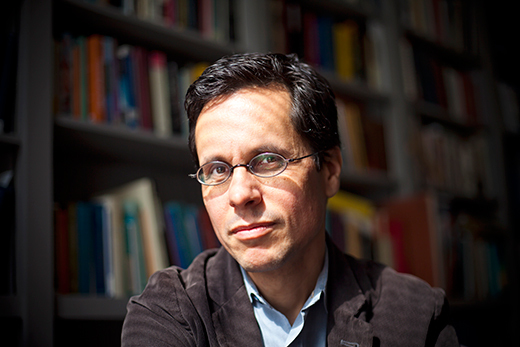 Andrade enters the debate by challenging a common conviction that uses culture and economics to explain the Great Divergence between East and West. Under that argument, you may have heard that the Chinese invented gunpowder but just used it for fireworks, and that it was Europeans who made gunpowder into a lethal military technology. This saying is false but still often repeated, and even experts in military history who know the gun was invented in China still underestimate the vitality of the Chinese military past, Andrade says. China’s rapid innovation came from war, when various dynasties were conquering and uniting the empire. It was when the empire was not fully united that military innovation in China was most rapid, Andrade says. By about 1680, China was the biggest power in Asia. By 1760 — having incorporated Taiwan, western Mongolia and Tibet — China had doubled in size and settled into a century of relative peace, Andrade writes. By then, it was Europe learning that war and innovation go hand-in-hand. The Napoleonic wars, not to mention near-constant border conflicts and the growth of trade and colonialism, increased the need for military development. When they did grant Westerners access, that trade showed Chinese leaders eager to learn new technology and able to quickly modernize their military. For instance, the Ming policies in the late 14th century “prescribed that 10 percent of infantry soldiers should be armed with guns, by the last third of the 1400s, the figure rose to 30 percent,” according to the book. Westerners didn’t arrive in China until the early 1500s. And Europe did not see those rates of armed soldiers until the mid-1500s. Andrade also explains the volley technique that allows for uninterrupted firing: ranks of soldiers fire, retire to a second or third line to reload, and a new first rank fires. Anyone who has seen an old war film has seen British soldiers using the tactic in battles well into the 1800s. But as Andrade’s research shows, the Chinese had employed the volley technique with crossbow units for centuries. By the 1300s they were using the technique with firearms. They were also probably the first to use the technique with muskets. Understanding Chinese history “more important than ever"
Innovation stalled in China, Andrade writes, not from lack of interest or ability. The same stability that kept China peaceful also kept stable how it operated its massive army. Nearby Japan, which collapsed in the mid-1800s, became a blank slate that was able to truly get rid of old ways in its development, allowing its rise in the region. The period from the mid-19th century through World War II and the subsequent Chinese Civil War (1946–49) made China more unstable and, therefore, once again open to military innovation. Now, it is the United States that is investing in existing armed forces that may not be the most effective — think of the investments various military branches say they don’t want but are funded anyway. The lesson could be for the U.S. to recognize China’s true history as a world military power, and help the nation feel secure in that strength.